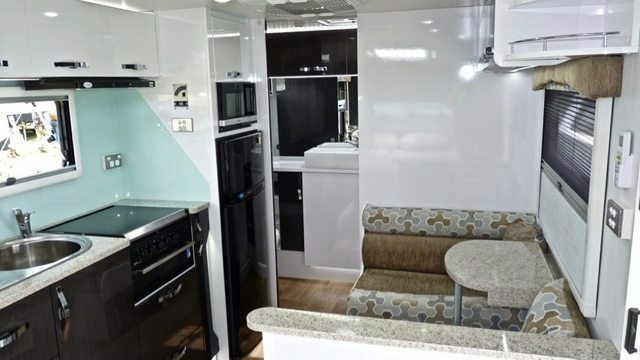 RV.Net Open Roads Forum: Where are the modern euro style travel trailers? > Where are the modern euro style travel trailers? 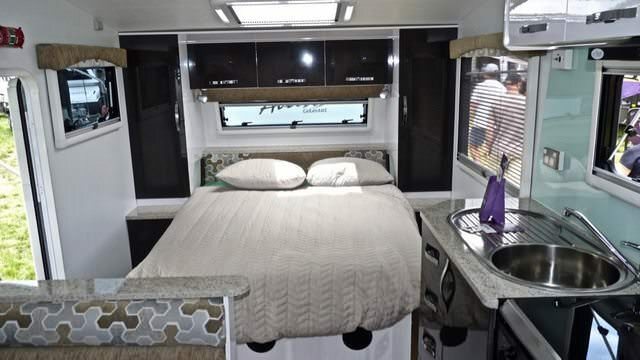 After going to a few RV shows, it’s just incredibly frustating that we can’t seem to find a travel trailer that doesn’t look and feel like it was designed back in the 80’s. Closest i’ve seen to what we want is Airstream, but they seem ridiculously overpriced. Looking outside the US, of course there are some amazing options, all in the $30-40k range equivalent. Where are the US manufacturers who can come close to this? Anyone know if anyone is importing these anytime soon? I agree. Both of your links appear to be light years ahead of our choices. Our problem is we keep buying the poorly constructed, out of date products US mfgs. want to push out the door. Until we demand more we'll keep getting less. If they did import them, Coachman would have to start putting their doors on the opposite side to work in the US. Our Mfgs. need some real competition. what the heck is an i shaped exterior? Have you ever used a euro-RV? White or other light color interiors to help show dirt when the kids come in from playing in the mud. They serve their purpose in Europe where tow vehicles have much lower tow ratings, power is 3 times the price and campground sites are a fraction of the size of American ones. Style is subjective. The average buyer particularly among bigger units are older and more conservative, so they probably aren't interested in the modern look. You might try something like the rpod for a similar look. Thanks. Did look at Livinlite, but the build quality isn’t quite there. Cheap vinyl trim, etc. Only thing in the US that I’ve seen to be competitive is Airstream, and they cost about 2x the price of the euro models I linked...and also heavier. The *one* exception I saw was the Jayco Skylark from a few years ago, but they’re no longer available and were a bit too small. I’d get a 24” version of that in a heartbeat. Have to agree with the statement (The average buyer particularly among bigger units are older and more conservative). I looked at a DRV and did not care for the 80's interior. Love the build quality of the unit I seen but that was several years ago. Carriage had a very modern interior designed model and it did not sell well. These beautifully constructed caravans hardly meet your erroneous description of so-called European styled campers, other than to say that slides are not favoured as they are here in N America. Quality of construction far surpasses what is produced here and even smaller units are fully featured, very often including built in washing machines, collapsing dinette table pedestals, huge windows, huge skylights, designer style lavatories that NA manufacturers could only dream of. The problem here is simple - NA buyers are just not willing to pay for campers of this quality. Berkshire Hathaway didn't buy Forest River to assist with increasing competition. These beautifully constructed caravans hardly meet your erroneous description of so-called European styled campers, other than to say that slides are not favoured as they are here in N America. You are aware that Australia isn't in Europe right? The OP asked about European RVs.